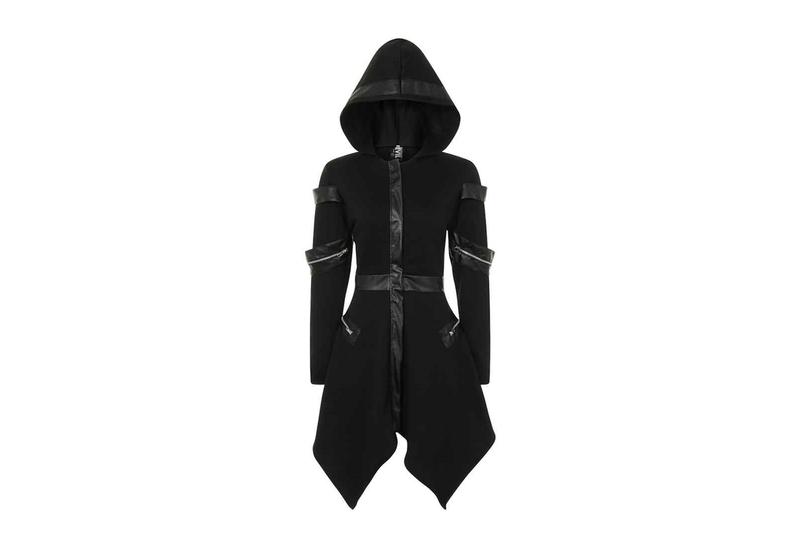 A super stylish, hooded lightweight coat, this handkerchief hemmed coat is both flattering and cozy, with faux leather decorative accents on the arms and zips-a-plenty! 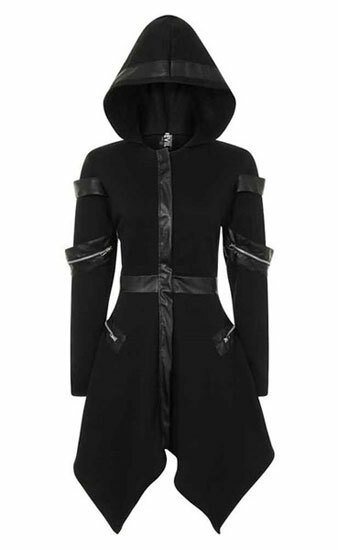 This coat is made from black sweatshirt material with faux leather accents and zips. I tried this coat for the first time, and it looks great. 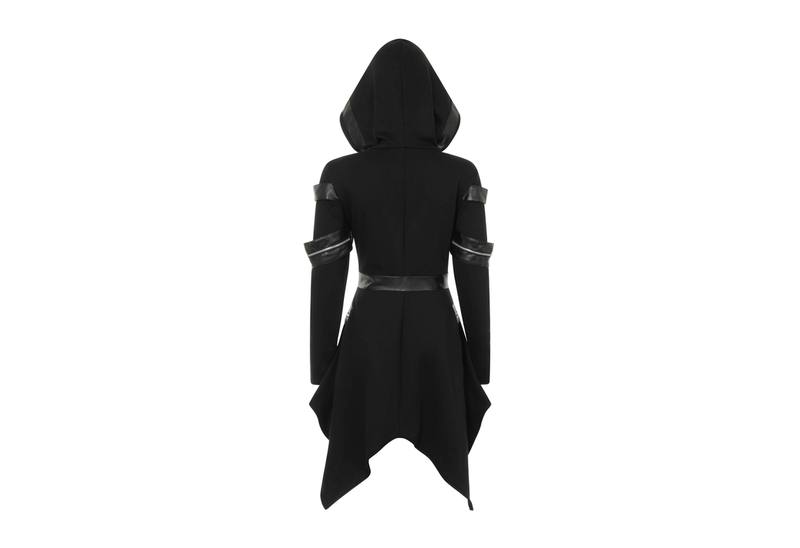 The only thing I can I wish is that the sleeves can be a little longer. When I put my thumbs inside the hand holes, stretch, the sleeves don’t stretch. It felt odd. Overall, it’s a good coat.